At Seed, they have a passion for original British design. More than just a (very lovely) shop, they are home to an emerging generation of creative talent. 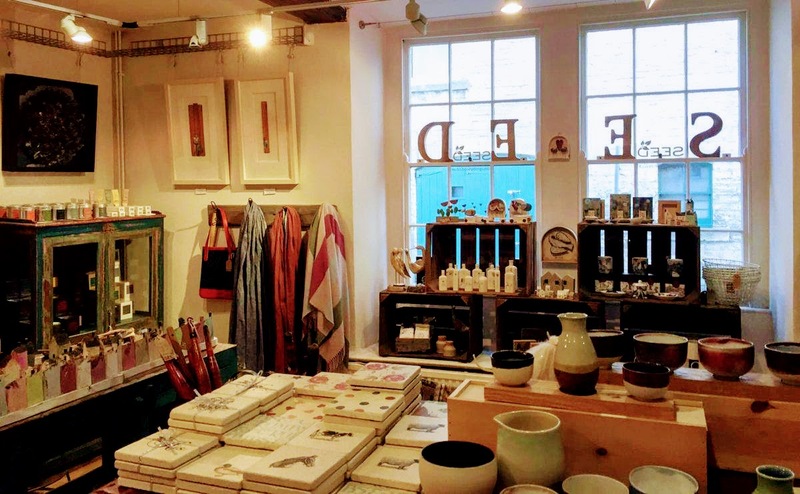 They specialise in sourcing a diverse mix of homewares, jewellery, textiles and ceramics, hand picked from across the UK and beyond. Seed supports, nurtures and promotes new British artists. They scour the land for beautiful and unusual pieces to display and to offer. Their wares are constantly evolving, and are always delighted to welcome newcomers. From exquisite art for your home, to trinkets for that elusive perfect birthday present. Locally produced candles and one-off artworks abound. Add to that a beautiful selection of gift wraps and greetings cards – and buying a present really couldn’t be simpler! In addition, almost all their products are available to peruse online if distance is an issue.